DG-ULT-KID-+BRN-EMB-GG Color: Brown Features: -Cup holder in armrest. -Raised black plastic feet. -Overstuffed padding for comfort. -Embroidered applique on oversized headrest. -Intended use for children ages 3-9. Product Type: -Chair. Dimensions: Overall Height - Top to Bottom: -27". Overall Width - Side to Side: -24". Overall Depth - Front to Back: -25". Overall Depth - Front to Back: -36.5". Overall Product Weight: -27 lbs. Specifications: CPSIA or CPSC Compliant: -Yes. bt-7985-kid-bge-emb-gg Features: -Recliner.-Embroidered applique on headrest.-Overstuffed padded seat, back and arms.-Beige vinyl upholstery.-Easy to Clean Upholstery with Damp Cloth.-Flip-up storage arms.-Solid hardwood frame.-Raised black plastic feet.-Intended use for children ages 3-9.-Weight limit: 90 lbs.-Safety: Will not recline unless child is in seated position and pulls ottoman 1'' out and then reclines.-CA117 fire retardant foam.-Arm height from floor: 18". Dimensions: -Storage arm dimensions: 11'' H x 3.25" W x 6" D.-Seat dimensions: 15" H x 12'' W x 12'' D.-Back dimensions: 17'' H x 22'' W.-Overall dimensions: 28'' H x 25'' W x 26 - 39'' D, 32 lbs. 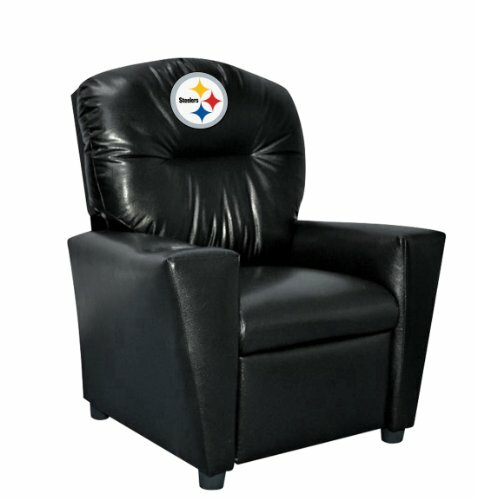 Officially licensed merchandise by the National Football League, the Imperial youth faux leather recliner lets you take your game to the next level from the comfort of your own home. It's constructed from high quality soft faux leather which provides added stain resistance, durability and makes it easy to clean. An embroidered patch logo is prominently displayed on the headrest and the armrest incorporates a cup holder. 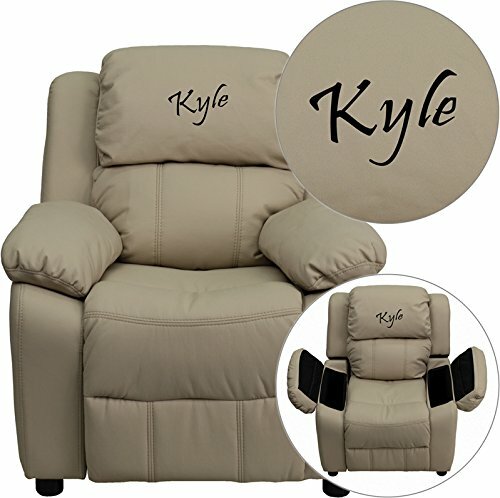 The recliner measures 31" L x 27" W x 32.5" H and supports up-to 75 pounds; accommodating fans ages 3-7. The ability to recline, allowing you to enjoy the game in complete relaxation. Designed with plush arms and back cushions, making this recliner a fan-favorite for the entire family. Meets child safety requirements. Proudly made in the USA. 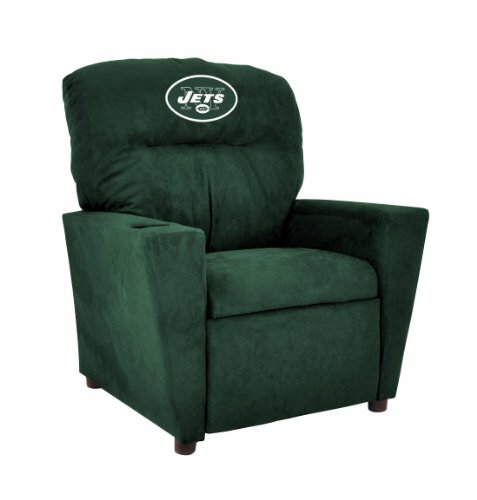 Officially licensed merchandise by the National Football League, the Imperial NFL Youth Microfiber Recliner lets you take your game to the next level from the comfort of your own home. It's constructed from high quality microfiber which provides added stain resistance, durability and makes it easy to clean. A 5.5" embroidered patch logo is prominently displayed on the headrest and a cup holder built into the armrest for convenience and spill prevention. 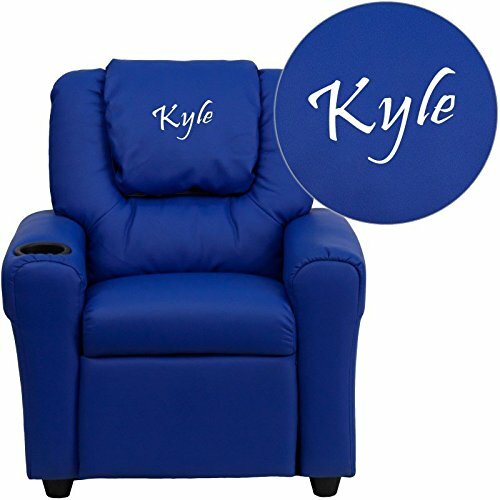 The recliner measures 24.5" L x 23" W x 28" H and supports up-to 75 pounds; accommodating fans of ages 3-7. The ability to rock and recline allow you to enjoy the game in complete relaxation. This recliner was designed with plush arms and back cushions, making it a fan-favorite for the younger members of your family. With a removable back, you can even take this chair with you for tailgating; as the amount of space it occupies for transportation is minimized. Proudly made in the USA. DG-ULT-KID-+BLUE-EMB-GG Color: Blue Features: -Material: Vinyl. -Child's recliner. -Cup holder in armrest. -Solid hardwood frame. Product Type: -Chair. Finish:Generic Dimensions: -27'' H x 24'' W x 21.5'' - 36.5'' D, 28 lbs. Dimensions: Overall Height - Top to Bottom: -27 Inches. Overall Width - Side to Side: -24 Inches. 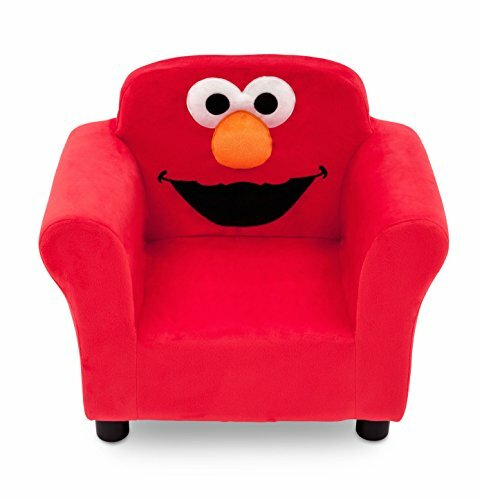 Looking for more Embroidered Kids Recliner similar ideas? Try to explore these searches: Carved Lotus Flower, Adel Biometric Lock, and Pumpkin Cake Mold. Look at latest related video about Embroidered Kids Recliner. Shopwizion.com is the smartest way for online shopping: compare prices of leading online shops for best deals around the web. 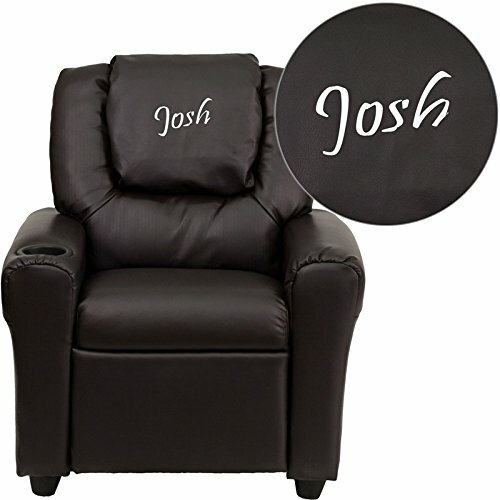 Don't miss TOP Embroidered Kids Recliner deals, updated daily.